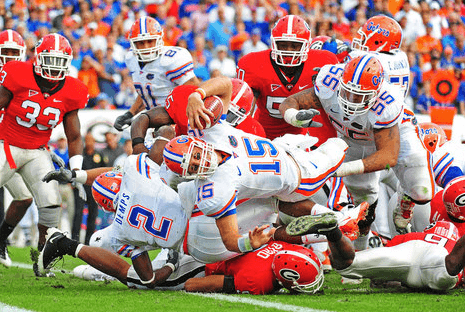 Was Florida's listed spring game attendance a jab at Georgia? 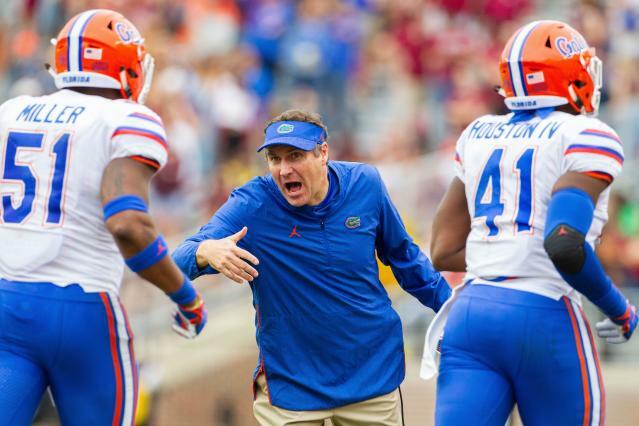 Florida coach Dan Mullen was a man of his word. Last week, Mullen teased the trolling of a rival via the announced attendance at Saturday’s spring game. He joked that the attendance could be listed at 41,014. Florida beat Florida State 41-14 in 2018. The announced attendance at the game was officially listed at 39,476. There was no Florida score in 2018 that resembled those five numbers. What in the world could it be referring to? Mullen was asked after the game if there was meaning in the number. No one immediately figured it out after the game. But Tuesday morning, some folks appeared to have cracked the code on the Florida Gators section of Reddit.com. Florida State coach Willie Taggart was the first guess as his career winning percentage is .477. But there was no explanation for the first two digits. So the search went towards the SEC. And sure enough, there’s a Georgia connection. Unless you’re choosing to be obtuse and believe there isn’t. We’ll let the post at Reddit explain it. Finally, it dawned on us; 39 was the key. As many of you know, it has been 39 years since Georgia has won a national championship, but what is the 476 in reference too? Well, if you add up the total games played by UGA since 1981, which includes their Sugar Bowl win against Notre Dame, you will find that it has been FourHundred and SeventySix Games since UGA has won a national title. Hooooweeeeeee. That right there would be a well-executed troll. Yeah, Georgia beat Florida by 19 points in October of 2018. But when you’ve won three national championships since Georgia’s most recent title, you still have the right to brag about championships. If, of course, you chose to exercise that right.